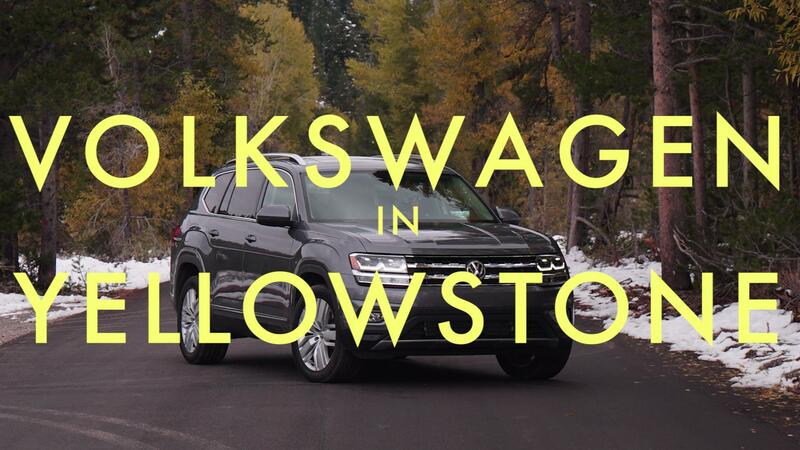 The 2018 Volkswagen Atlas is a strange beast. It's both exactly what the company needs in the U.S. marketplace right now, and it's also a crossover that leaves us a bit cold. Crossovers aren't exactly a genre that engenders a great deal of passion in buyers concerned with practicalities, like fuel economy, interior storage, and safety. But the Atlas is more passionless than most, a strange turn for Volkswagen, a company whose most pedestrian vehicles have had some baked-in European goodness. That being said, there are a few things the Atlas does extremely well, so credit where credit's due. I spent a week in a V6 SEL model with 4Motion in Reflex Silver over black leatherette, with only a couple of options. It featured 20-inch black alloy wheels and second row captain's chairs, bringing it to a grand total of $45,235. Overall, the Atlas feels like a nice compromise between three-row roominess and exterior dimensions. While it's a subjective assessment, some three-row crossovers drive "bigger" than they are — the Atlas, on the other hand, feels just right. Good sightlines helped. And while Consumer Editor Jeremy Korzeniewsky, on our first drive review of the Atlas, felt the exterior styling was vanilla and inoffensive (truth), its sharp creasing and exaggerated character lines approached handsome to my eyes. Bolder colors would certainly help, like the available Tourmaline Blue, Kurkuma Yellow, or Fortana Red, although in the real world most cars will be black, white, or silver, as is the overwhelming American preference. The third row is somehow adult friendly. Not just in terms of headroom, although there's plenty of that. The second-row captain's chairs can be pulled up a reasonable distance allowing for good knee room for both second and third rows. Most important, large and airy side windows prevent things from seeming too dark and claustrophobic back there. Even the seat cushions themselves, usually an afterthought since fold-flat ability is paramount, are comfortable. Now for some gripes. Most glaring is the ride quality. The 20-inch wheels likely don't help, but the Atlas bucks, tosses, and rolls through mild road imperfections. Sometimes it feels like each corner has its own damping calibration, given the wild body motions imparted to the driver. Volkswagen traditionally tuned its suspensions closer to the European ideal, firm but well-damped, which incidentally made even non-enthusiast Volkswagens more pleasant than average to drive (with a few recent exceptions). 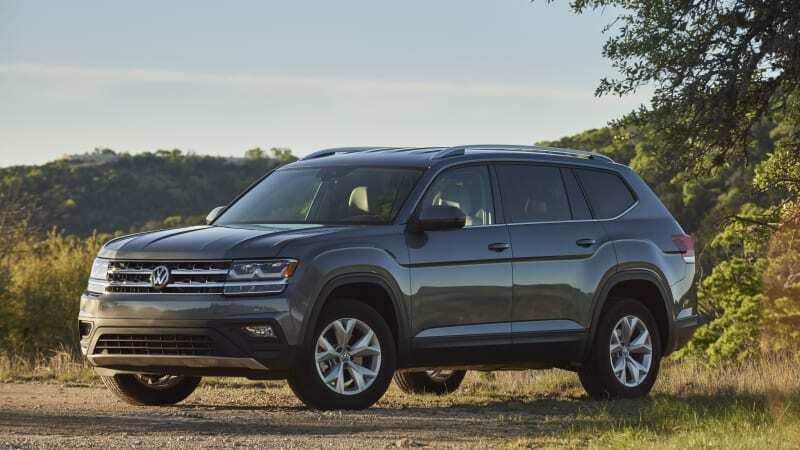 But Volkswagen made a conscious decision to soften up the Jetta for American tastes, beyond what softening Volkswagen traditionally applied, and it seems like this philosophy scaled up to the much larger Atlas. Maybe the soft ride impresses on test drives, but a firmer setup would likely make life nicer for occupants over the long haul. The steering is also numb to the point of imprecision. Many overboosted, electrically-assisted steering racks are lifeless, and no one expects the Atlas to provide Porsche-like crispness. But the level of disconnect between steering wheel and front tires proves disconcerting. This is not a small vehicle, and it takes an extra level of attention to guess-and-check lane placement. Over the course of the week, I adjusted to the rack's peculiarities, but it took a lot longer than normal. Volkswagen knows how to make an electrically-assisted steering rack work properly, so perhaps this is something the company will address in a refresh. The Atlas is, after all, a brand new vehicle. One last gripe: The interior design, while perfectly inoffensive, isn't terribly distinctive. It's basic Volkswagen, scaled up to fit the larger Atlas interior dimensions, but without much character of its own. Nothing really says "Atlas" about it — more to the point, there's a generic quality to the wood inlay across the passenger dash, and the chunky and very plastic HVAC vents. Volkswagen seems to be saving some money by avoiding more premium materials and designs, which even the 2019 Jetta incorporates. That car has more interesting shapes and interfaces between various elements, and if Volkswagen would have scaled it up to match the Atlas' size, it'd be a much more successful interior. Alas, we're stuck with the Atlas' mediocre interior for at least a few years. What Atlas gets right is enough to justify its existence: distinctive but inoffensive exterior styling and superior interior packaging. The ride quality, steering, and interior design are sub-par, but likely won't offend any potential buyers to the point of choosing a competitor. What's going to be really interesting is to see what Volkswagen decides to improve at its eventual mid-cycle refresh, and whether that will take this three-row crossover over the top.